Reading skill involves responding to text, rather than producing it. -To understand the language of the text at word level, sentence level, and whole text level. -To connect the message of the text to our knowledge of the world to see connection between sentence (coherence) and grammatical links between the sentences (cohesion). The type of reading could be Intensive Reading or Extensive Reading. - Practice the reading subskills students are not good at. 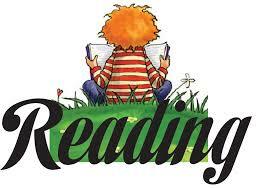 - Different reading comprehension tasks and exercises focus on different reading subskills. - At the right level of difficulty, not too difficult, too easy. A series of comprehension activities developing different reading subskills . Activities which ask students to talk about how the topic in the text relates to their own lives or give their opinions on parts of the text. Simplified materials – especially written for language learners. Authentic materials: Short news articles from newspaper, brochures, charts, graphs, information diagrams, performance program, and illustrations.